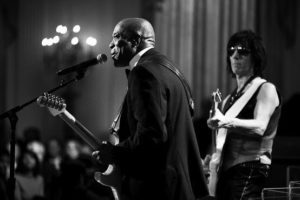 If you’re a guitar aficionado, there is simply one tour you do not want to miss this summer as two legends, Jeff Beck and Buddy Guy, team up for what is certainly to be an all-out powder keg full of guitar riffs and licks. Both are icons in the world of guitar — Rolling Stone included each in its list of the Top 100 Guitarists of all-time, and both are lifetime achievement inductees in the Rock & Roll Hall of Fame. Their careers span more than fifty years each and the list of musicians they’ve influenced is endless. Jeff Beck has been turning heads since he replaced Eric Clapton in The Yardbirds in 1965. Twice inducted into the Rock & Roll Hall of Fame, first as a member of The Yardbirds and then as a solo artist, he is best-known for albums such as Truth, Beck-Ola, Blow By Blow, and Wired. 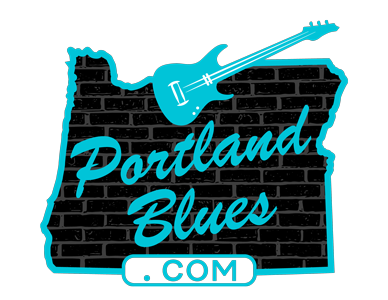 Buddy Guy has been the recipient of thirty-four Blues Music Awards and has been inducted into the Blues Hall of Fame along with his membership in the Rock & Roll Hall of Fame. He has a lengthy career that saw him play alongside Muddy Waters and Junior Wells before taking on his own highly successful solo path and is one of the living patriarchs of the blues today. This is a rare opportunity to catch two of the greatest on one stage in the same night as they’ll be performing at the Maryhill Winery Amphitheater, 9774 Hwy 14, in Goldendale, Washington on Saturday, August 20 at 7:00 pm. This is an all ages event. Tickets can be purchased at Ticketfly.com with prices ranging from $55.00 to $250.00.